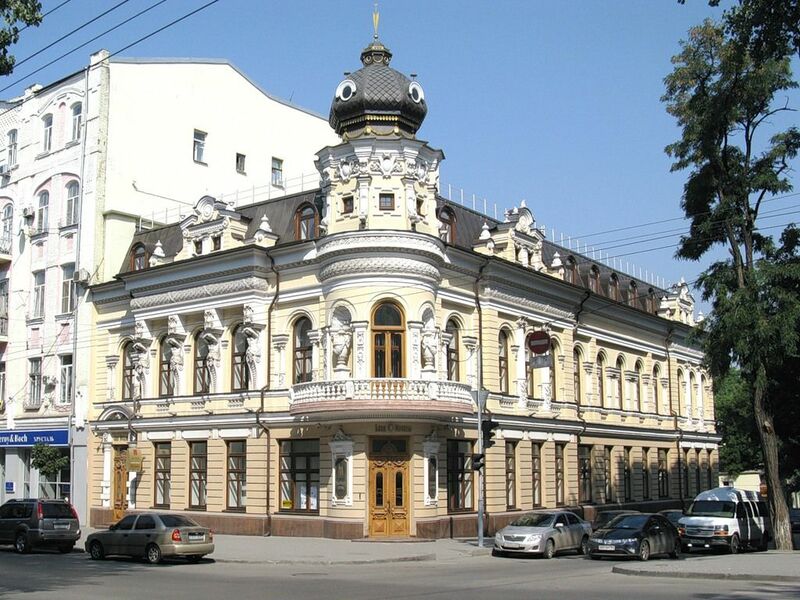 It is one of the oldest cities in Russia, which still looks very young. 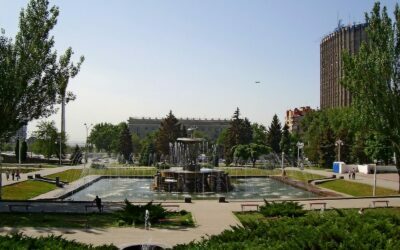 It is located in the south of the country, because of which the local people call Rostov-on-Don the southern capital of Russia. 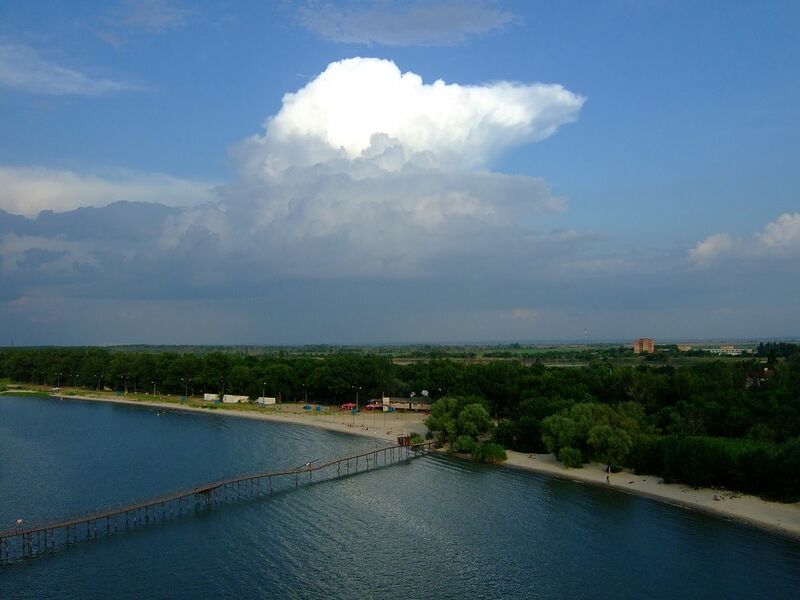 Its’ banks are washed by Don, which, after 46 km, flows into the Azov Sea. 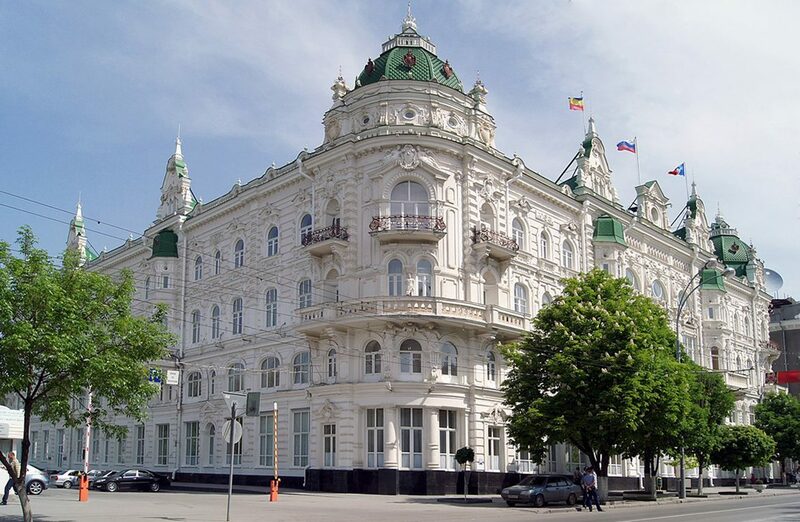 Rostov is one of the most densely populated cities in the country, there are more than a million inhabitants. This land is the birthplace of the famous Don Cossacks, to look at the village of Starocherkasskaya, the capital of the soldiers, can be only 27 km away from the city. 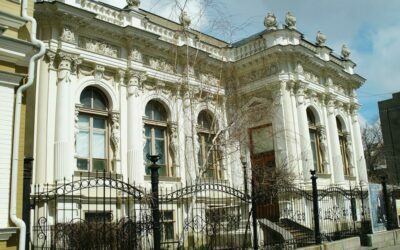 In addition, the city itself has many attractions – museums, temples and cathedrals, monuments of architecture, warm beaches on the Don. 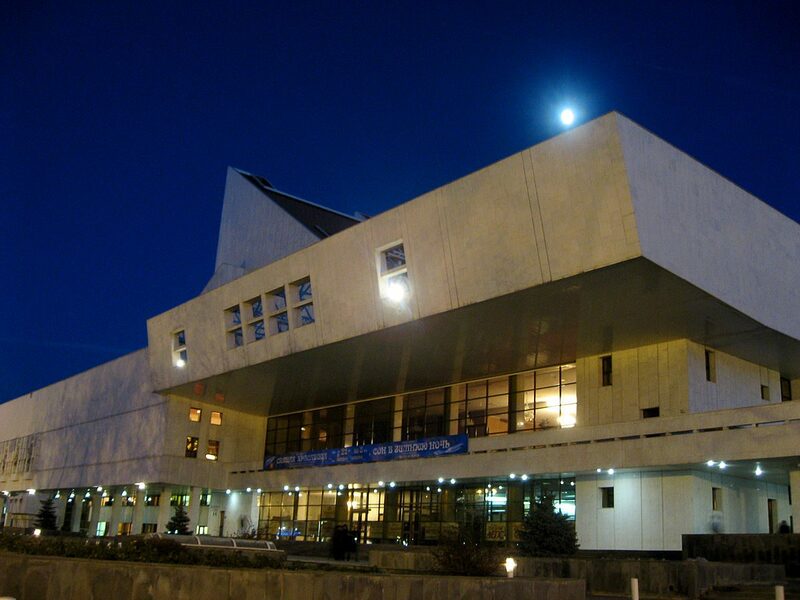 Rostov-on-Don is a very hospitable city for sure. Here the guests are greeted by the owners of the public catering establishment – they want to feed everyone with crowned river dishes and drink author’s wine. 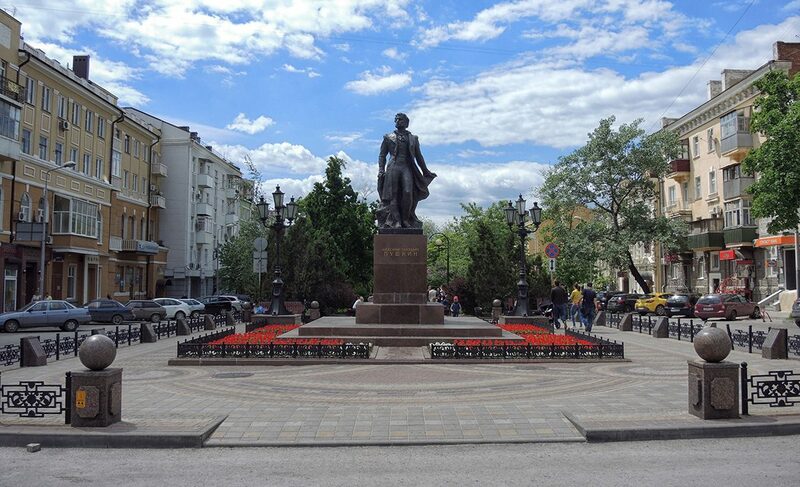 A tourist with a small budget here will feel very comfortable – to see the beauty of the city is free of charge, for the entrance to some attractions, money is not taken at all, and some take only a symbolic price. A tourist with a purse will feel more like a VIP-visitor here, luxury rooms and the most expensive dishes in restaurants will be available to him. In the city, you will never remain hungry as there are lots of cozy restaurants at every step here where the menu necessarily contains traditional dried fish or crayfish, ears, and other dishes from the inhabitants of the Don. Here you will be treated to fresh beer and wine made by yourself. Local people laugh that nobody will be able to leave Rostov-on-Don sober. 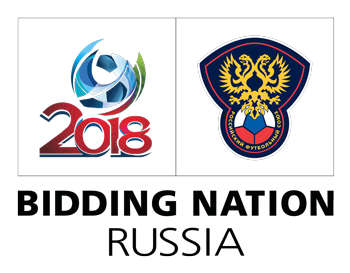 As far as you know very soon the city will meet fans of the World Cup – 2018, here teams of Brazil, Switzerland, Uruguay, Croatia, Saudi Arabia, Mexico, Korea, Iceland will play their matches. In total there will be 4 group meetings and 1/8 finals. 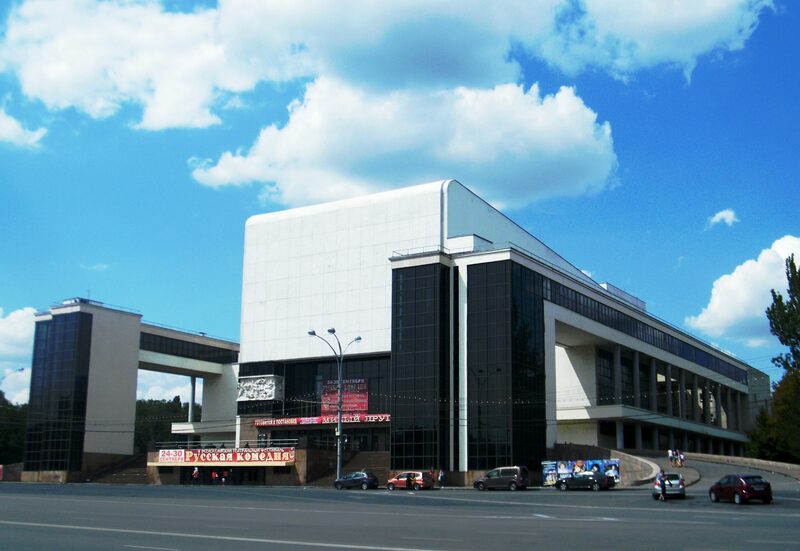 Fans who did not have time to buy tickets for the stadium will be able to watch the game from a specially equipped fan zone on the Theater Square. At the same time, there can be up to 25,000 fans. Moreover, the group IOWA, Caste, Agatha Christie, Degrees, Semantic Hallucinations and other artists will hold their concerts on the established stage. Entrance to all events is going to be free. 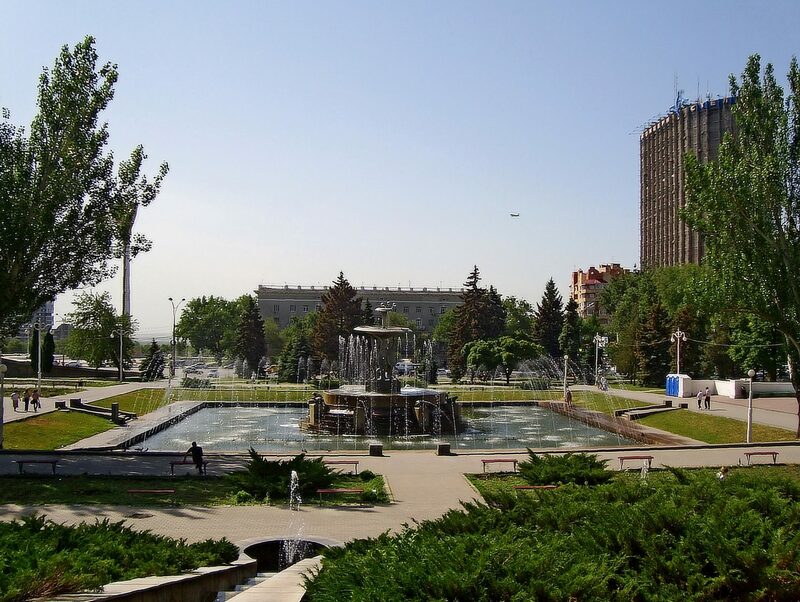 In addition, live matches can be watched on a large screen installed near the hotel “Yakor”, and in the Gorky Park. In all these locations, the organizers will conduct regular competitions, exhibitions, and concerts of local artists. Where will the matches be hosted? 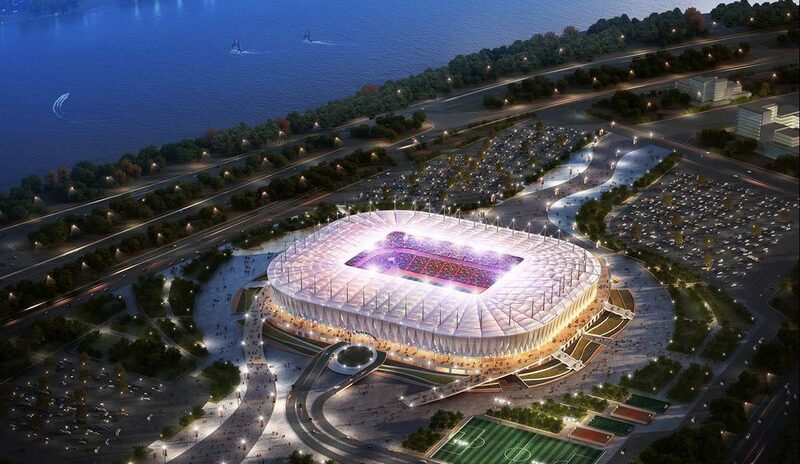 All five football matches will take place at a brand new stadium, specially built for the World Cup 2018 – Rostov Arena. 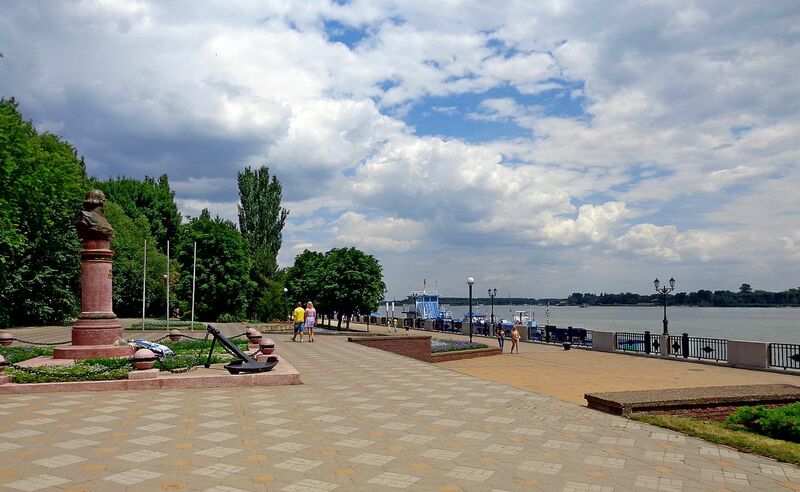 It is located just 300 meters from the river, so the site offers a beautiful view of the river and the city. To build such a building on unstable soils, they used a special technique of sand washing, into which concrete piles were later driven. During earthworks, builders found 5 shells from World War II, it is noteworthy that they were preserved in perfect condition. The roof above the stands reminds the waves of the Don, and the facade itself looks pure white. But thanks to thousands of small light bulbs, at night the exterior walls of the stadium turn into a huge screen that can transmit any images. Also, developers built a large green park around. Now couples and photographers often take a walk in the wasteland area. 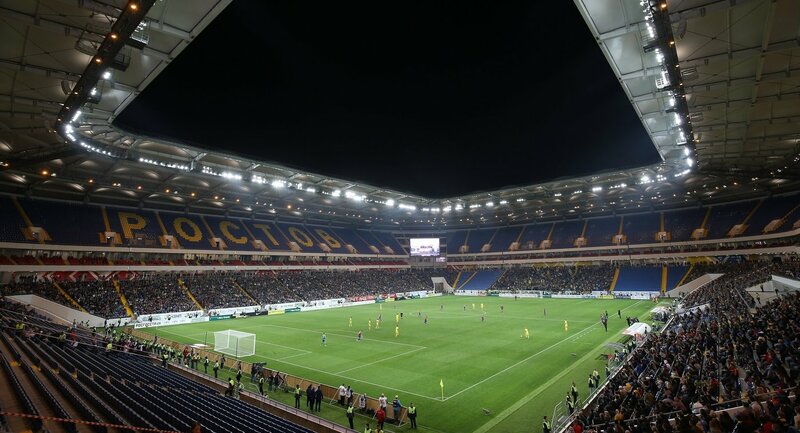 Decoration inside the stadium was performed in the colors of the football club “Rostov” – the blue spectators’ stands and yellow stairs. In total, the arena consists of five floors and three tiers – it puts 45,000 fans. Specifically, the tournament was equipped with 36 VIP-boxes – skyboxes. This is a closed room around the perimeter of the arena with a panoramic view of the stadium. Premium guests will sit there on soft bright red chairs, they look like sports car seats. Team and coaching locker rooms, medical staff rooms, administrative rooms are equipped with the latest technology. Sowed last year, the lawn, now came to an ideal condition, it is thick and neatly trimmed. For seeding the field, 400 kg of seeds from 6 different varieties of grass were used. 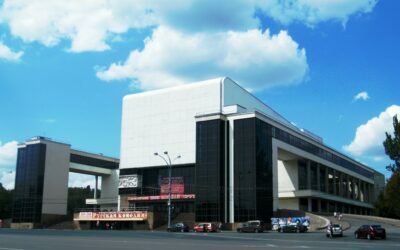 You can get to “Rostov Arena” in several ways. In the days of the matches will run shuttle buses throughout the city, shuttles for fans with tickets will be free. You can find out such transportation by the football attributes from outside and tablets with the names of the routes: S2, S4, S7. Also, there are ordinary city buses № 39 and № 516 in the direction to the stadium. But nevertheless, for the journey you will have to pay 24 rubs. It is necessary to get out the bus at the “Recreation center” Dynamo” or “City beach” stops. If you are somehow near the train station “Zarechnaya”, it takes you 20 minutes on foot or 2 bus stops to reach to the stadium. Do not forget that you cannot bring any weapons, metal objects, pyrotechnic products, and explosive substances to the stadium. They will forbid you to pass and if you have glass bottles, cups, and other items, as well as drinks in tetra packs. Alcohol, drugs and Nazi symbols are strictly prohibited. Rostov is a large enough city with a large abundance of hotels and places for spending the night for every taste and purse. 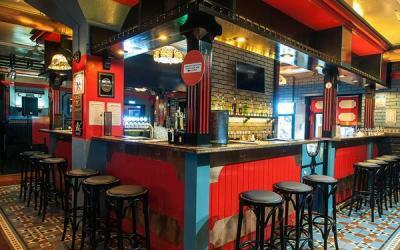 There are many modern hostels and majestic hotels with stars. 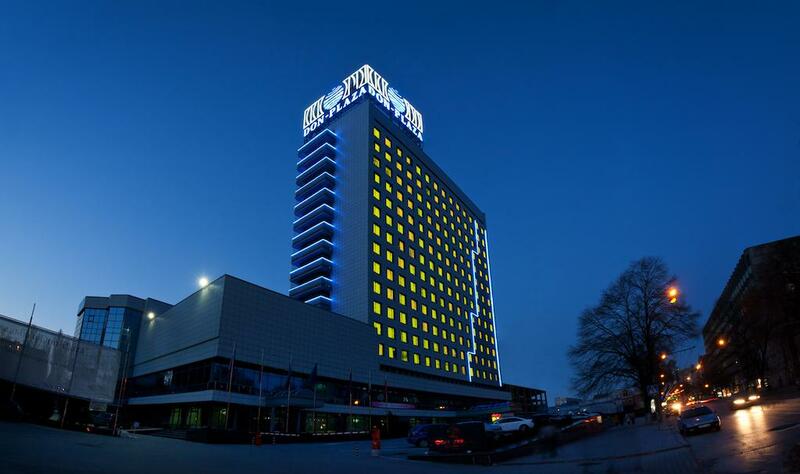 We bring to your attention the rating of the most popular and known hotels, where tourists like to stay the most. 1. 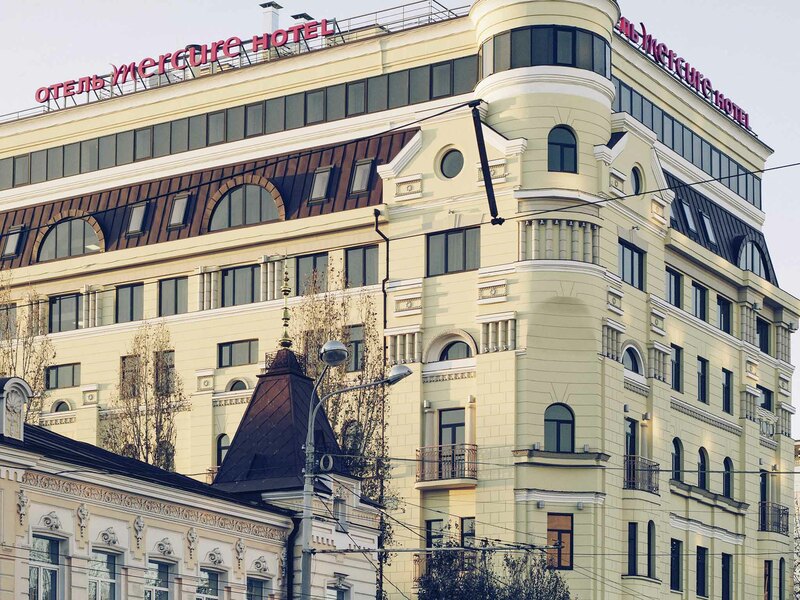 The TOP of the most popular hotels is Mercure. 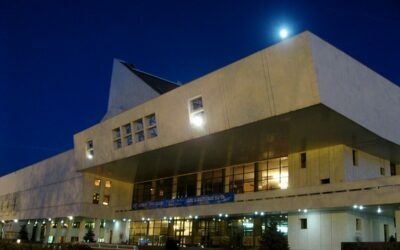 It is located in the very center of the city right next to the administration building. 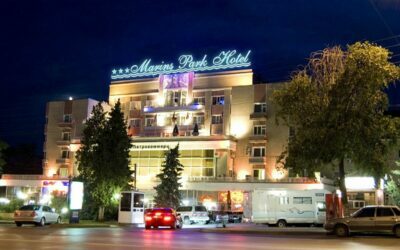 Tourists love this place for stylish modern design in the rooms, as well as a host of other services: free fitness room, massage, sauna, laundry, separate non-smoking rooms. It is worth noting that the hotel provides special rooms for guests with limited mobility, they are provided with convenient access for wheelchairs, equipped with a comfortable bathroom, various personnel services are available. The hotel has 4 stars. Prices by the time of the Championship here have significantly increased. Instead of 5000 rubles for the cheapest standard, they ask for 13400 rubles. The most expensive number on these dates will cost 20,000 rubles. Fortunately, the price includes breakfast. 2. 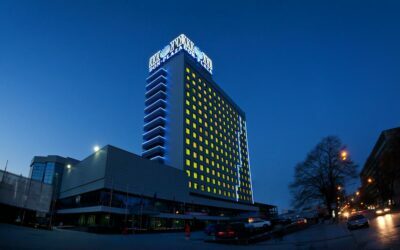 The Congress Hotel “DonPlaza”hotel is in great demand among tourists. It is here that politicians and famous artists stop when they come to the city. All visitors have access to a spa, fitness center, interpreter services, dry cleaning and laundry. Breakfasts are included in the price, however there is a separate bar and restaurant on the territory. The site says that the cheapest price is 3500 rubles, the most expensive – 23500 rubles. However, it is worth being prepared for the fact that at the time of the 2018 World Cup, the price may increase two or three times. 3. 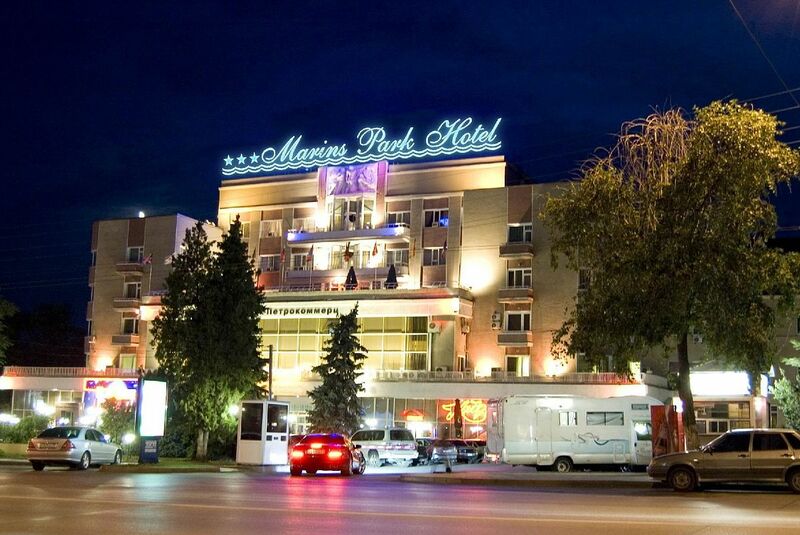 The third place in the tourist rating is the hotel “Amaks”. It belongs to the category of “budget”, but it does not appear in any way on the quality of the services provided. 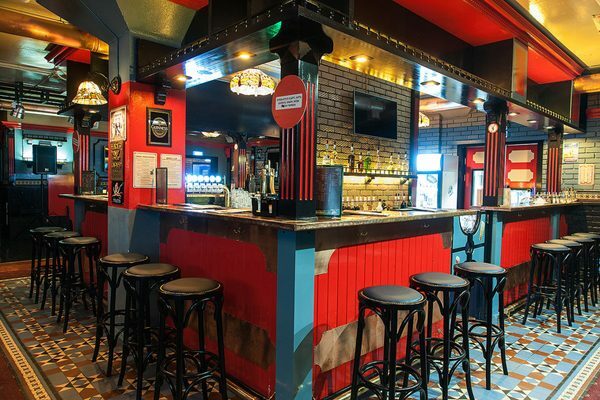 In addition to being in the center, the hotel is also noteworthy because it has a wide variety of entertainment on its territory: billiards, bowling, sauna, nightclub. Also, there is a wide range of services – there is a beauty salon, a prayer room, a library, car rental, visa support, a transfer and even a private confectionery. Guests will definitely have something to do here. 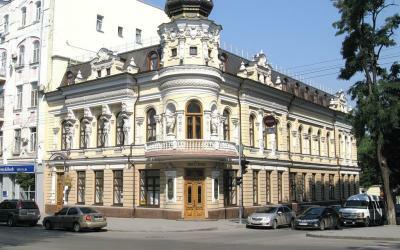 The cheapest room costs 2700 rubles for the night, the most expensive – 10,000 rubles. There are still places for the 2018 World Cup. The left bank of the Don (Lewberdon). To see the soul and heart of the city, you do not need to travel far and seek architectural monuments. 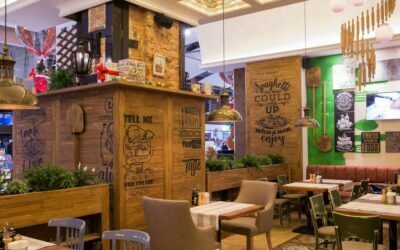 It is in this area that the stadium “Rostov Arena” was built, the owners of local restaurants and cafes will not wait to treat guests of the city with their own branded shish kebab or grilled vegetables. For 10 kilometers along the river, there are hundreds of amusements. The locals even joke that Lewberdon is their own Las Vegas. This is the venue for all city festivals, concerts, and festivals. Walking along the embankment, be sure to pay attention to the kinds that open to the river and the city – they are chic. By the way, here you can rent pleasure boats, go fishing and rowing. For those who like to luxuriate in the sun, comfortable beaches are equipped. The central market (Old Bazaar, Starbaz). You can see Rostov-on-Don in all its’ colors here. The amount of meat sold here is measured in square meters, red and black caviar is in 3-liter bottles, fish are sold at all from huge aquariums that are built into car trailers. Here you can find literally everything to navigate in the ranks, it is better to ask local people, so you will save a lot of time and energy. 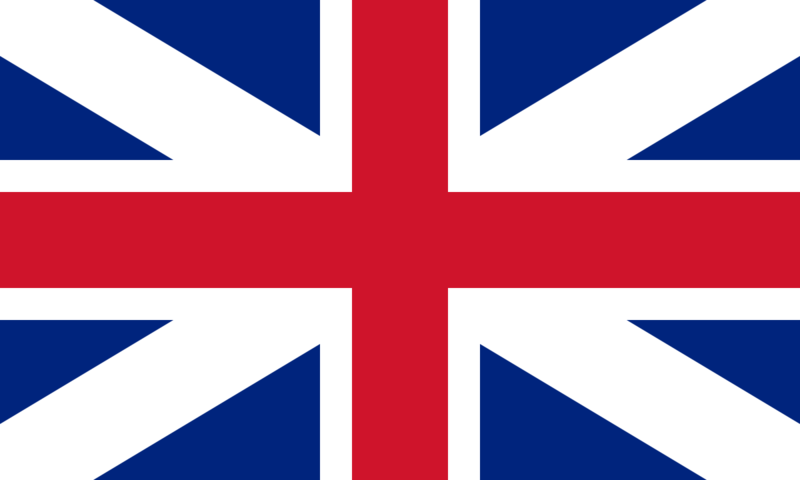 The market is notable for its’ long history, which begins as early as 1820. It was from then on that the development of the commercial life of the city and, actually, of the city itself began. Now the market has been restored, kept in perfect purity and even equipped with an underground parking. Although getting to this place is not a problem even for guests without a personal car, all urban transport passes the market. There is another iconic landmark and architectural monument – the Cathedral of the Nativity of the Blessed Virgin almost next to Starbaza. Paramonovskie warehouses. A memorial of federal significance is located on the banks of the Don. But you will be surprised when you see it – this is a real ruin. The semi-dilapidated buildings that were erected in the 1850s served as a storage place for hundreds of tons of grain, coal and other goods. The builders of those times made a very wise decision, to build warehouses over unfrozen springs. They poured water through the pipes and conducted around the room. The constant temperature of the sources is 9 degrees Celsius. Thanks to this move in winter, the stores maintained heat in winter, and cool in summer. Its’ own microclimate has even formed in this place- both in winter and in summer around the building grows green grass. Now all the pipes are rotten, and the springs are out of the ground. 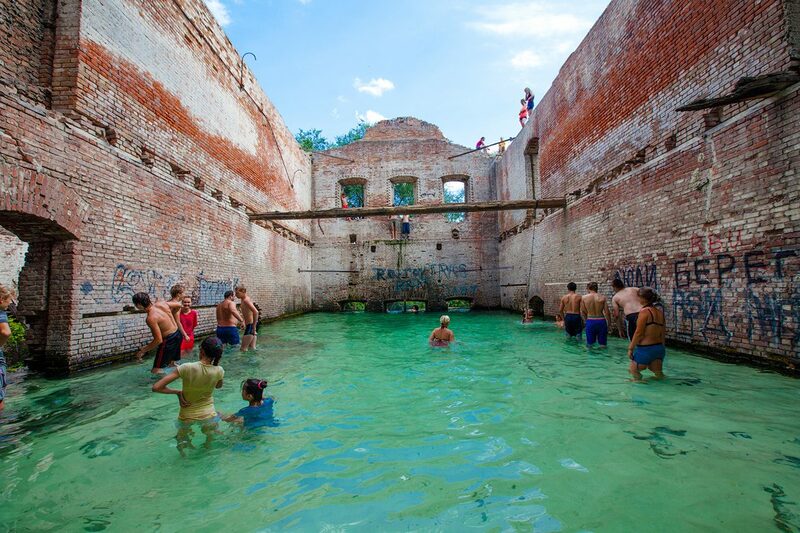 Lakes with crystal clear water were formed right in the buildings. Here the local people bathe and take their awesome photographers. 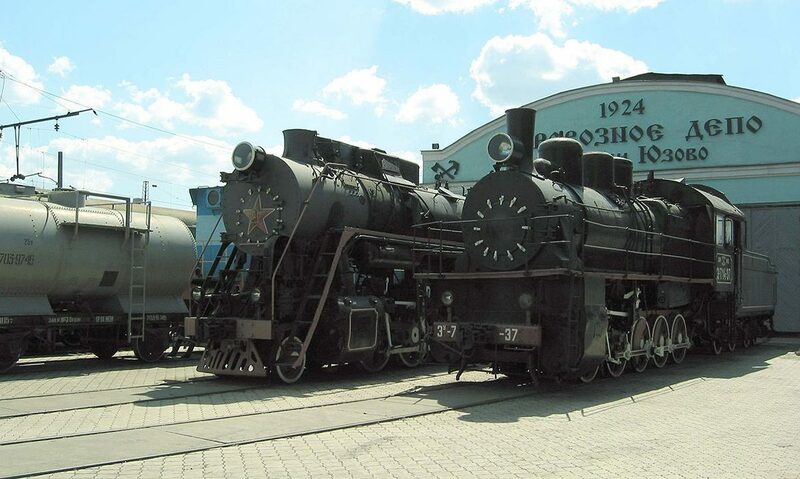 Museum of steam locomotives. This museum undeservedly is empty, but those who have been there, share enthusiastic reviews. At the abandoned railway station in the open air, 53 units of rarity equipment were located. 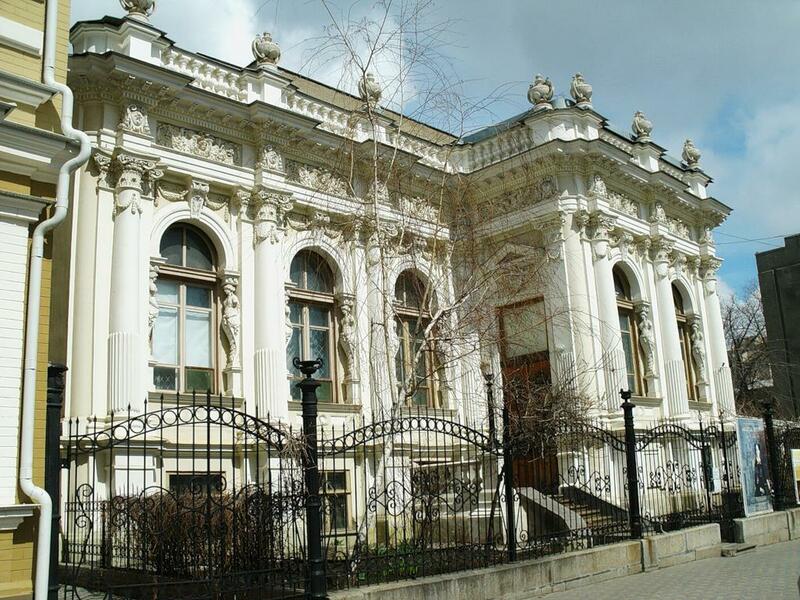 This is the second most rich museum of its’ kind. Many locomotives are still pre-war type, passenger cabin-cars, commodity, service equipment of that time. All compounds are in perfect condition, they can be touched, and in some, you could be let even to come inside. Children from such an excursion are simply delighted, so expect to spend at least an hour 2-3 hours here. Different trips on the retro-train around Rostov are organized here from time to time, so if you are lucky, you will get a unique excursion. The ticket price is symbolic – 100 rubles, photo, and video are free here, no one limits you to time either. Where to eat delicious food? Rostov-on-Don is a fish town. Here, freshwater inhabitants are prepared according to the most sophisticated and delicious recipes. If you are eager to buy the freshest fish – go to the Old Bazaar, we wrote about it above. You will find still alive sell carver, carp, carob, bream, crawfish there. Tourists should definitely try a dried fish – such a delicacy you will not find anywhere else. It is sold for about 150 rubles per pc in the market. If you want to try already prepared dishes, we advise you to visit the restaurant of local (predominantly fish) cuisine “Pontoon”, the terrace of which is located directly on the water. In the institution “Cossack Farm” you will be fed not only excellent donkey soup but juicy shish kebab from meat or fish. Sturgeon, carp, salmon, and pike-perch are well prepared here. 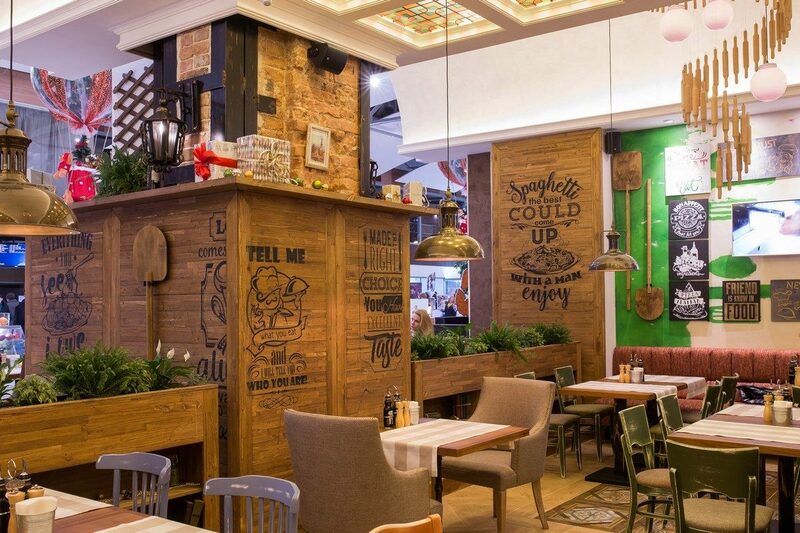 In case you prefer the traditional European cuisine, take a closer look at the restaurants “Donskaya Chasha” and “Onegina Dacha”. 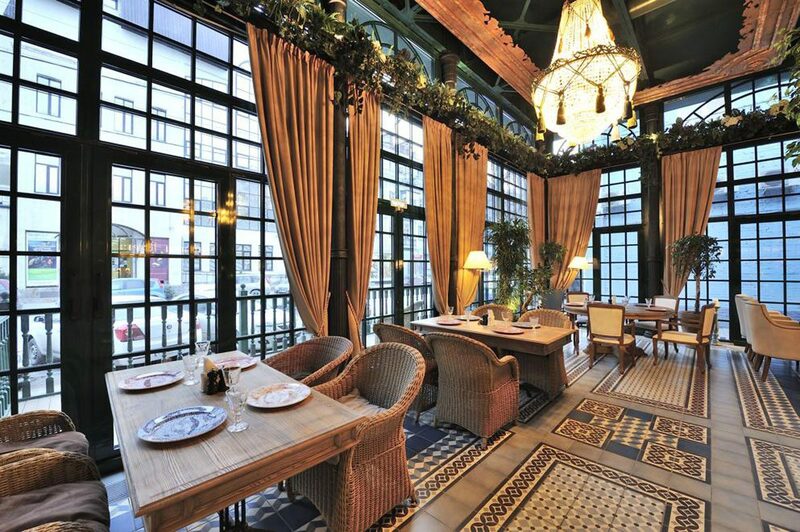 These places are loved by celebrities and local townspeople for their atmosphere and home comfort. Did you know that there is a cult of crayfish in Rostov? They are cooked in different types almost in all the restaurants and small cafes of the city. Only in this city can you see the delivery of cooked crawfish to your home, all deliveries are highly specialized: «Cancer №1», «House of Cancers», «Cancers of the Don» and others. There are at least 10 of them in the city! The average price is 1000 rubles per 1 kg of river delicacy.